Read British Columbia by the Road backwards. Or forwards. It doesn’t matter. Like the highways themselves, you can drive Ben Bradley’s bright, engaging work on automobility, identity, and landscape in British Columbia’s Interior in different directions. Stop to visit an open-air museum or take a picture of a striking vista. You’ll get to where you’re going. First and foremost a “landscape history,” British Columbia by the Road traces the visuality of motoring in the Interior by focusing on the roadside itself. Despite popular perceptions that driving was freer and more democratic than rail, Bradley argues that it remained constrained by, among other things, the road systems available. The “motoring public” therefore saw more-or-less the same things as they drove, and Bradley uses this shared automobility to explore how British Columbia’s roads acted as “a kind of cultural infrastructure,” linking people, places, and shared experiences and themes (234). State and private actors used those shared views to teach “landscape lessons” about British Columbia in general and the Interior in particular (9). As the Interior’s road and highway systems were built between the 1920s and 1970s, so too were roadside attractions, from local museums to historical plaques to provincial parks and campgrounds. Road construction, travelling by car, and modern British Columbia grew up together, Bradley argues, reflecting the Fordist state’s preoccupation with infrastructure as well as control over amusement and leisure. This book is divided into two “routes,” echoing two over-arching themes to these “landscape lessons:” “nature” and “history.” The first details the development of Manning and Hamber Provincial Parks—one a success, the other a “failed” park—and outlines the ways in which road development contributed to their respective fates. In the second, Bradley uses the 1958 centennial as a pivot point to explore the lessons about British Columbia history expressed in roadside attractions. In a particularly innovative move, Bradley has designed these sections to be read in any order, united on either end by a rich introduction and conclusion. Each “route” focuses on different stretches of highway while presenting the reader with the same choices available to his historical actors. Manning Provincial Park, the Barkerville outdoor museum, and the green and gold “Stop of Interest” plaques whiz by to bolster Bradley’s claim that place in the modern Interior both shaped and was shaped by the infrastructure and shared habits of automobility. It is rare that a book’s style and structure support its argument so explicitly, and this is arguably the greatest strength of British Columbia by the Road. In a similar vein, this book is also master class in how to work with visuals as a primary source. There are dozens of images in this book and Bradley squeezes far more than the requisite thousand-words out of each to show the physical changes to the British Columbia Interior as road systems were built, modified, and maintained as well as how those changes were meant to be perceived by motorists from the region and elsewhere. Because of this, British Columbia by the Road is a particularly useful contribution to the history of mobility, the environment, and identity, especially from a regional standpoint. Historians of British Columbia will cherish the remarkable care Bradley has taken to preserve the local colour, so to speak, of his historical subjects as he traces major developments in the Interior. Those concerned with transportation infrastructure and the modern state more generally should work with this book as an ideal case study on how to engage with place, modernity, and landscape by the road. It is well worth the drive. 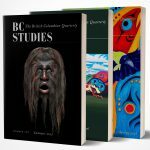 Vancouver: UBC Press, 2017. 309 pp. $34.95 paper.